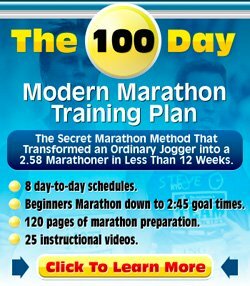 How Can I Improve My Running Further? I've been running regularly now for about two months. Generally speaking I run three times a week and try to make sure that every few runs I increase the length / distance so that I continue to progress. However, lately I've really been struggling. some days I go out and run well, for the time / distance I want to do, and some days I can barely make it to the end of the road. I generally eat well and keep hydrated so I don't really understand what's going on. Please help. We can all hit plateaus. Initially you would have found a quick increase in speed, stamina etc, which is normal as you start an exercise regime. After a while this tapers off. Or you get set backs. You may be suffering from fatigue, but with three days of running you should be getting plenty of rest in between. Unless you have got a cold or flu or something, I would probably dismiss that theory. The set back can often be a sign that you need to spice up your training, bring in a little variation. That is often enough to break through those invisible barriers. What it sounds like is that there is not a lot of variation in your training. Every few runs you increase the length of your runs, but I am not reading anything about variety in distance and/or variety in speed. In addition to this you may also want to consider some cross-training. Weights, swimming, cardio machines like stationary bike, elliptical trainer or rowing machine are all good ways to cross-train.